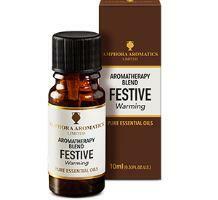 Create a festive mood with this spicy and warming seasonal mix of fruity orange, exotic cinnamon and spicy clove. 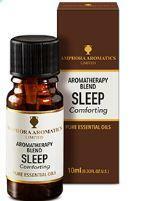 Comforting, restorative this blend can also help boost energy levels and starve off colds in the winter months. The perfect way to relax, unwind and entertain family and friends. For use in diffusers or burners. How to use; Diffuser /Burner: Help boost wellbeing by placing 4-10 drops (depending on the size of the room) blended in water in a diffuser or burner to create a natural room fragrance. Advice; Do not use on skin and avoid contact with eyes. Not for internal use. Keep out of reach of children. Ingredients; Citrus aurantium dulcis peel oil (Orange), Cinnamomum zeylanicum leaf oil, (Cinnamon) Eugenia caryphyllum bud oil (Clove), Derivatives from essential oils Citral, Cinnamyl alcohol, Limonene, Eugenol, Benzyl benzoate, Geraniol, Isoeugenol, Linalool.